April 17, 2019: Kris Duplissey was booked into the Kaufman County Jail on a charge of failure to report Wednesday morning. 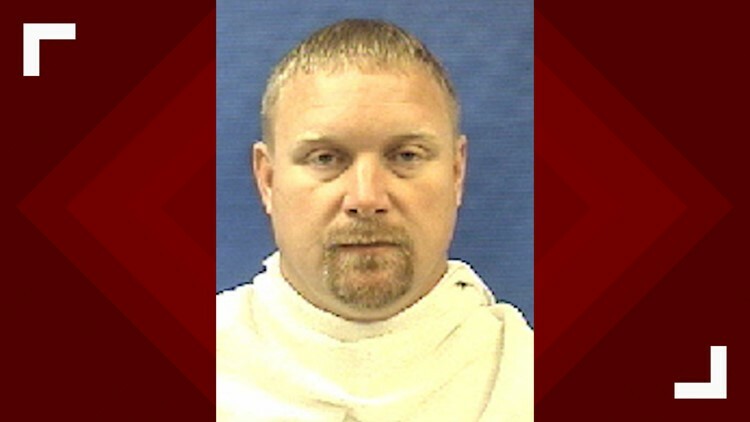 FORNEY, Texas — The former coach of the Forney High School soccer team turned himself in early Wednesday on a charge of failing to report allegations of sexual assault and hazing involving his players. The arrest warrant issued for Kristopher Duplissey, 41, reveals that investigators have evidence to indicate he knew about allegations of hazing for more than a year before it was reported to law enforcement. The warrant also alleges that Duplissey became aware of “assaultive acts and threats of sexual assault within the locker room” by December 2017, yet weeks passed before it was reported to law enforcement. Duplissey faces a Class A misdemeanor punishable by up to a year in jail. He remains in the Kaufman County jail. By state law, an educator has up to 48 hours to make a report to law enforcement once they suspect that a child “has been or may be abused,” the arrest warrant says. To date, six former members of the soccer team – four juveniles and two adults -- had been arrested on charges in connection with the hazing scandal that involved allegations of sexual assault. The cases against the juveniles have been resolved, but the details are not public. “In light of the pending investigation by the Sheriff’s Office, the District has not had an opportunity to conduct its own investigation, nor has the District been provided with any specific details or findings resulting from the investigation,” the statement said. The allegations of criminal hazing among members of the soccer team first became public in late January 2018 when five members of the soccer team were arrested. Those arrests came after school officials notified the Kaufman County Sheriff’s Office about the allegations of sexual assault involving members of the soccer team. Duplissey’s arrest warrant details the lengthy delay in reporting the allegations to law enforcement. Much of the evidence arose out of a search conducted in mid-February 2018 by Kaufman County sheriff’s deputies on the offices of Forney High School officials. During that search, authorities recovered a handwritten timeline titled “Hazing in Soccer at FHS” in the office of then-athletic coordinator Kevin Rush. The timeline is believed to have been written by Duplissey, the affidavit states. January 2017 – Duplissey is “informed” about hazing in the timeline. He discusses it with the team, punishes members of the soccer team and notifies Rush about it, the warrant said. The timeline also notes that Duplissey talked to the team about how hazing could “ruin” the team “and how that is not what good teams do, nor how society allows people to act.” The timeline says players who admitted to taking part in the hazing rituals were punished more severely, the warrant said. A copy of the handwritten timeline was scanned and sent from Rush’s email to himself and Neal Weaver, the district’s athletic director, on January 10, 2018, according to the arrest warrant. However, it would not be until Jan. 17, 2018, that Rick Geer, the district’s human resources director, contacted a Kaufman County sheriff official telling her that he believes a sexual assault had occurred involving members of the soccer team. The next day, Jan. 18, Geer told a deputy that “multiple sexual assaults” were reported to Rush on January 16. The warrant said Rush took a statement that same day from one of the victims. WFAA has previously reported that school officials tried to conduct their own investigation for weeks before reporting the alleged incidents to the sheriff’s department, including school officials taking statements from several of the players. When Kaufman County investigators interviewed one of the players, according to the warrant, he said Duplissey had punished members of the soccer team in the February or March 2017 because the coach learned hazing was going on in the locker room. The player told investigators he had been assaulted by older teammates and he saw other teammates get assaulted. He said the hazing let up for a while after Duplissey’s punishment but started up the next year. Another player told criminal investigators that he had told Duplissey in 2017 that he and others had been sexually assaulted by some of their teammates. Not long after the scandal became public in 2018, the district announced the principle’s transfer, the assistant principal retired and the district announced the retirement of Rush. Duplissey submitted his resignation in late March 2018, just days after the soccer season ended. His resignation was accepted that same day. However, the district allowed him to continue teaching and coaching until the end of the school year. News 8 found after Duplissey left Forney, he was hired by the Dallas school district and assigned to Carter High School. His hiring documents include a glowing recommendation letter from former Forney High School principal Steve Whiffen. The letter, dated April 5, 2018, extols Duplissey’s skills as a coach, educator and special education teacher. Hiring records show that Duplissey applied for the job in late July 2018, months after it became public that the sheriff’s department was investigating Duplissey and other school officials. In the application, Duplissey denied that he had been the subject of an investigation. Dallas school officials put him on administrative leave on Oct. 11, several days after WFAA inquired about his hiring. He remained on administrative leave as of late January. Currently, he is still on administrative leave. "Dallas ISD takes the allegations brought forward seriously and is investigating the latest developments, regarding the employee," school district officials said Wednesday.